Hanuman Jayanti is a Hindu holiday that celebrates the the birth of the monkey god Hanuman, a loyal devotee to Lord Rama. Hanuman is commonly depicted in the form of a Vanara, a humanoid creature described in the the Hindu epic Ramayana. He is also a shape-shifter, though, with magical powers that allow him to take many forms, move mountains and control the clouds. 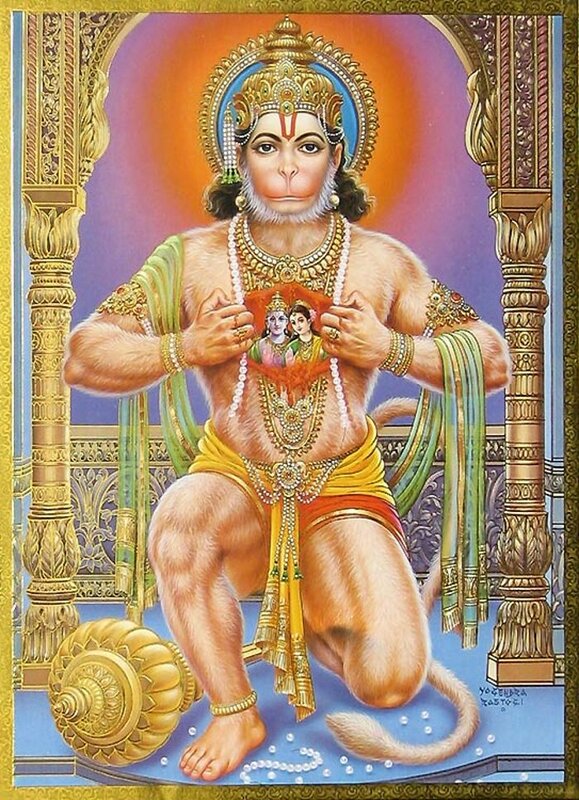 Even more than his magical power, Hanuman’s devotion to Lord Rama earns him a beloved spot in the Hindu pantheon. 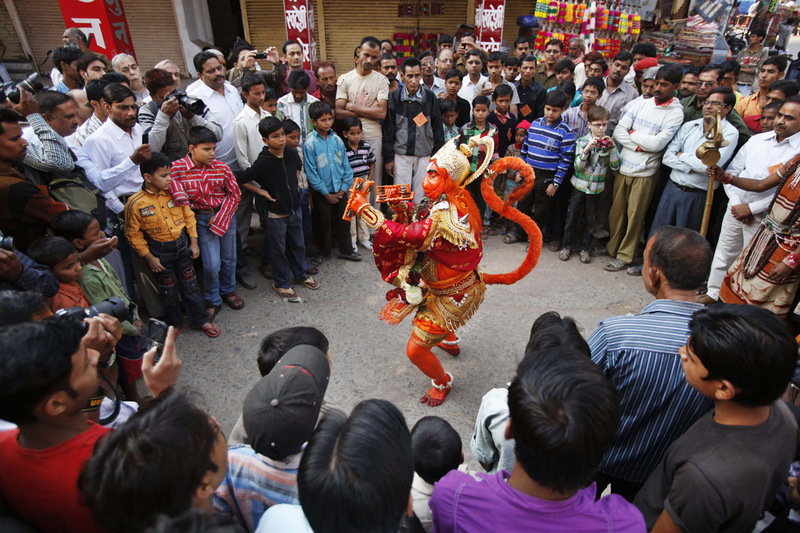 Celebrants mark Hanuman’s birth by reciting the sacred text, Hanuman Chalisa, performing special pujas (prayer rituals), processing through the streets and adorning costumes to imitate the deity. 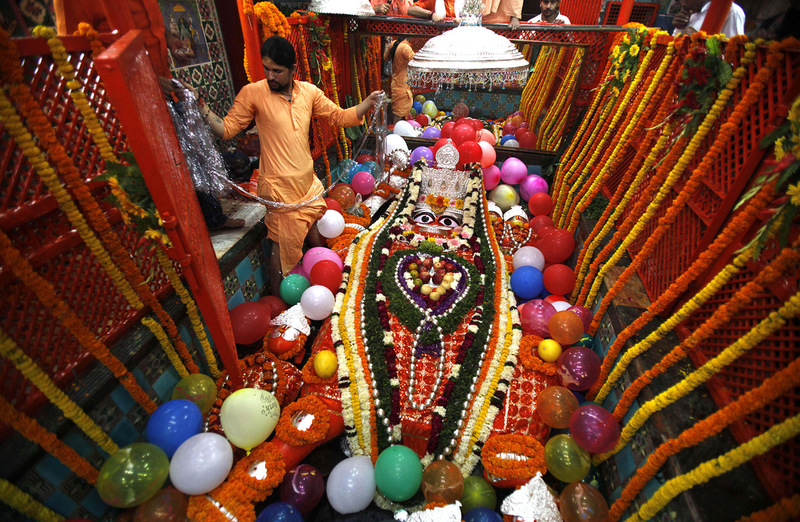 Hindu priests perform rituals as devotees gather around an idol of monkey god Hanuman during Hanuman Jayanti festival in Allahabad, India. 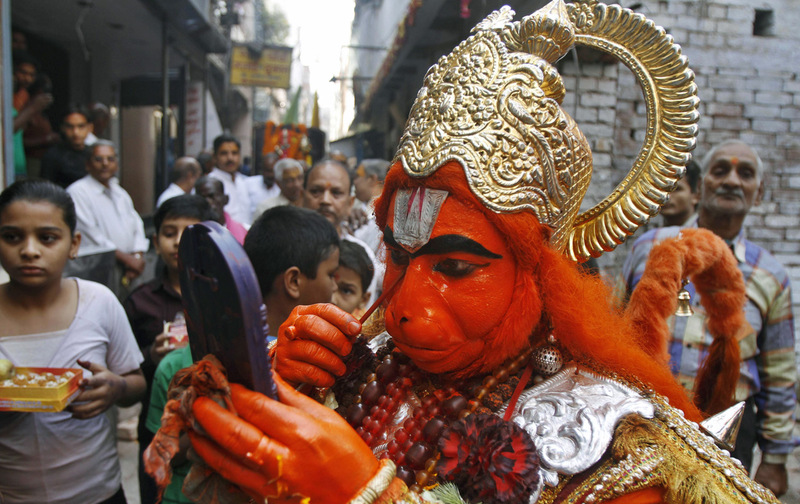 An Indian man dressed as a monkey god Hanuman prepares for a religious procession ahead of Diwali, in Allahabad, India.